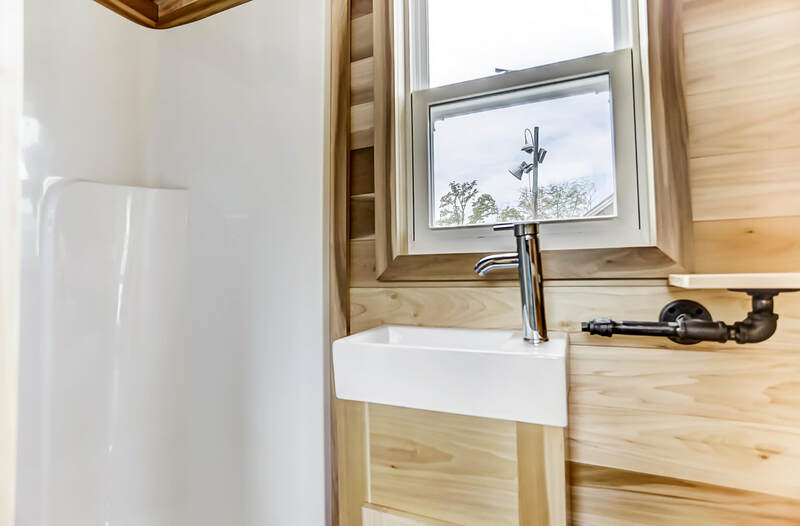 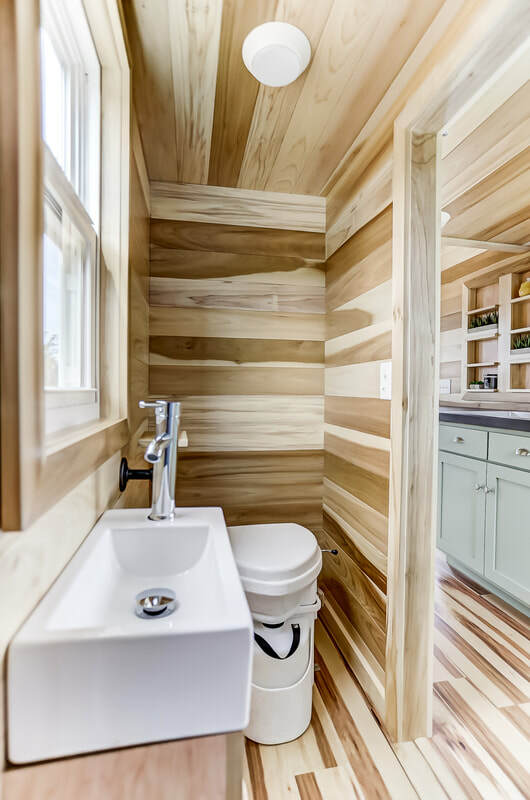 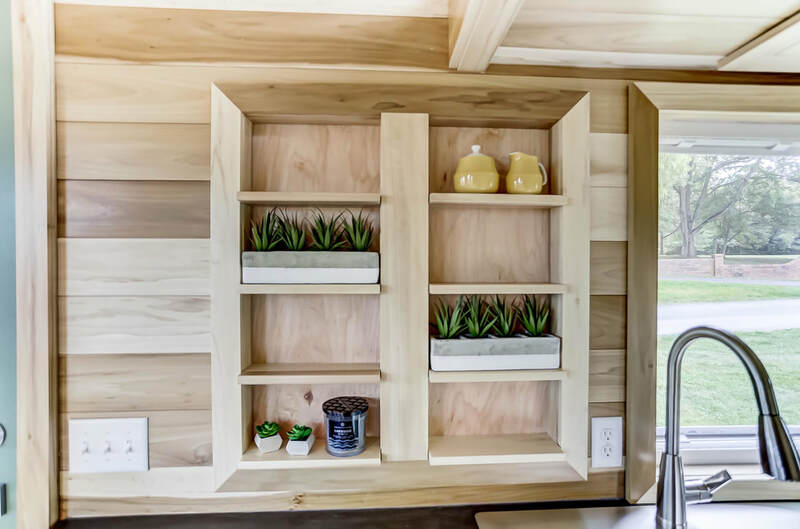 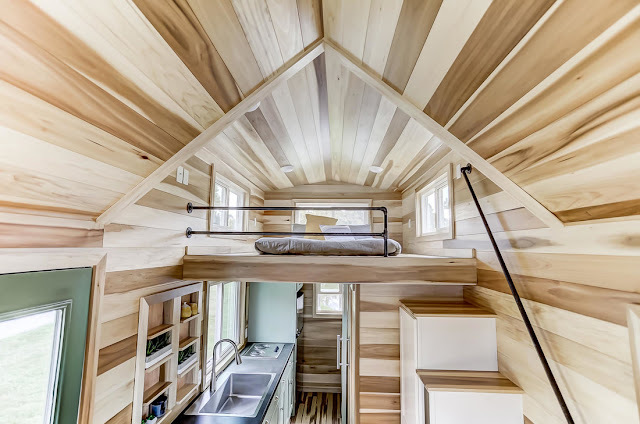 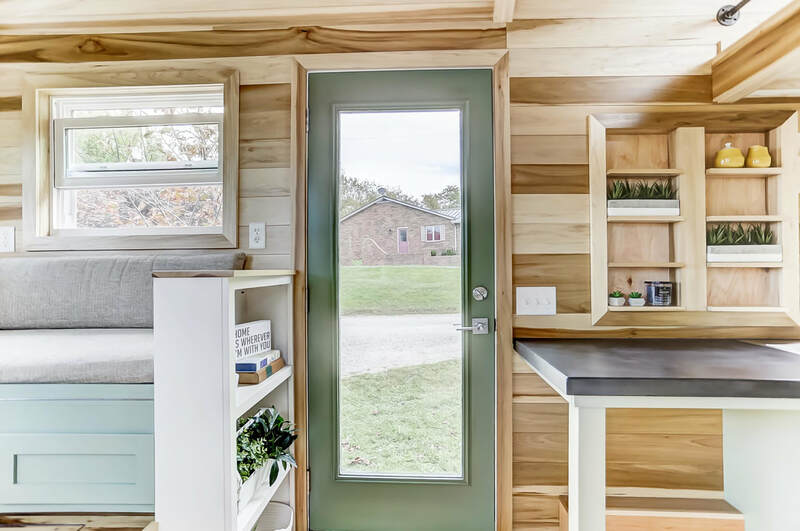 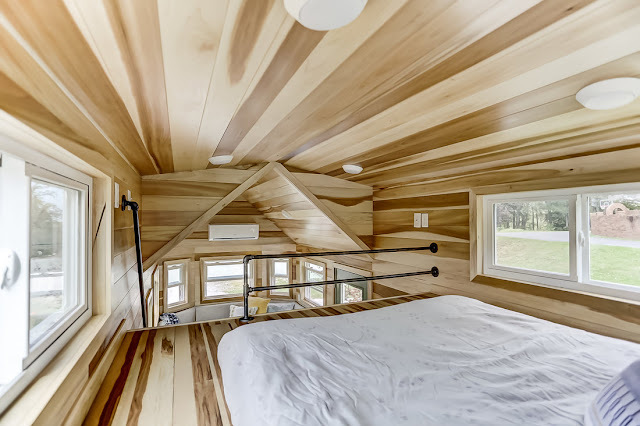 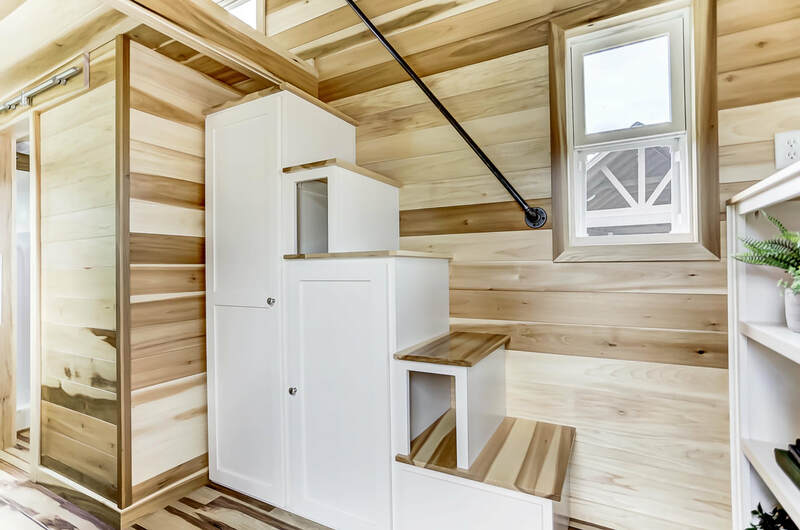 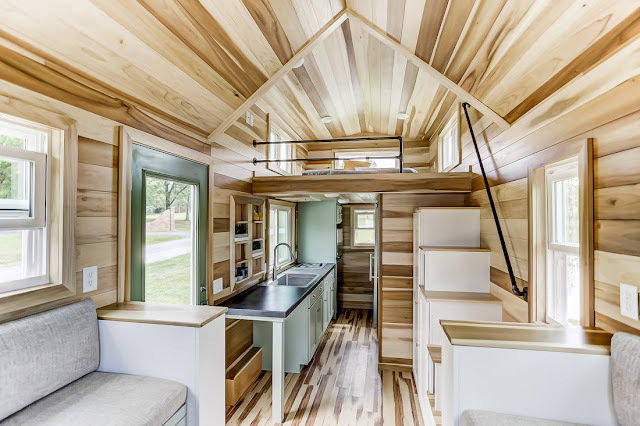 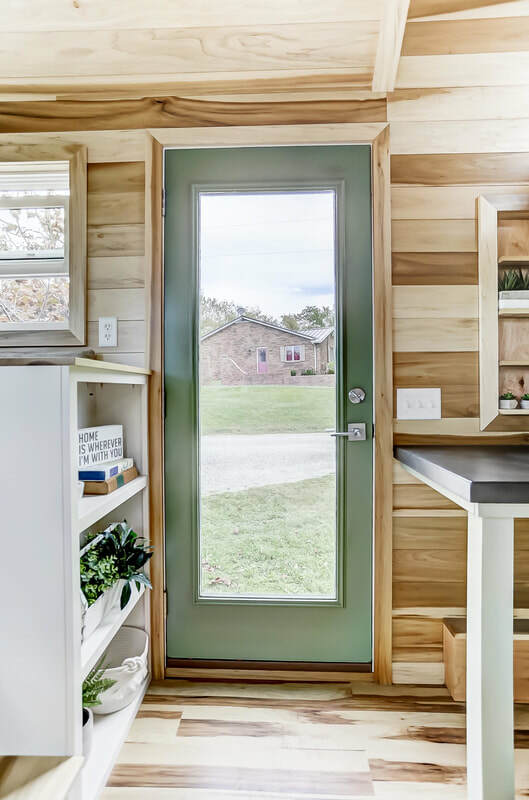 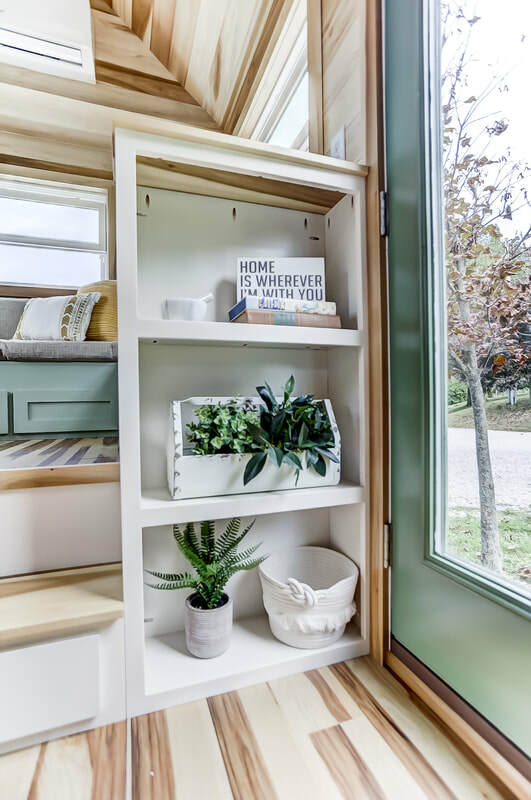 Modern Tiny Living has just released their newest tiny house, The Point. The Point is 20' home that brings functional design into a small space. Its charming exterior is composed os LP lapped Smart Siding with a 40-year warranty metal roof. 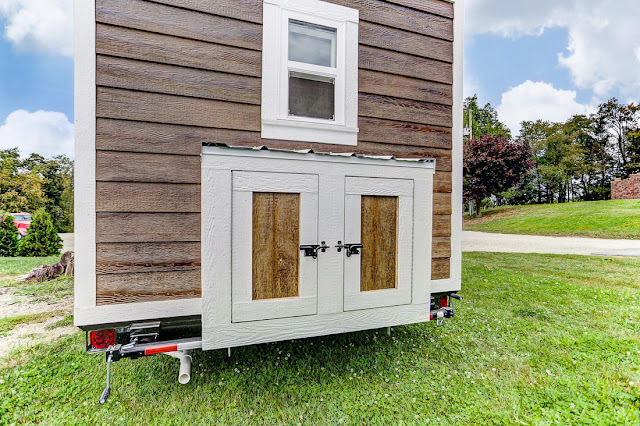 It weighs about 9,000 lbs and comes with spray foam insulation. 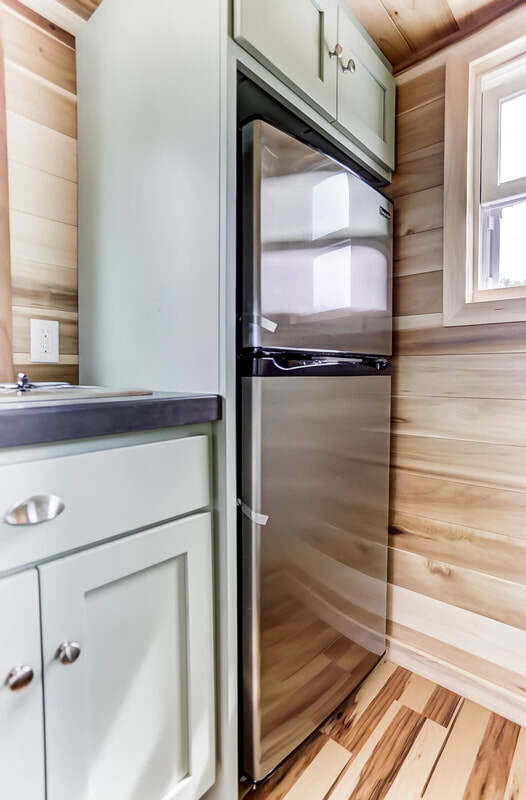 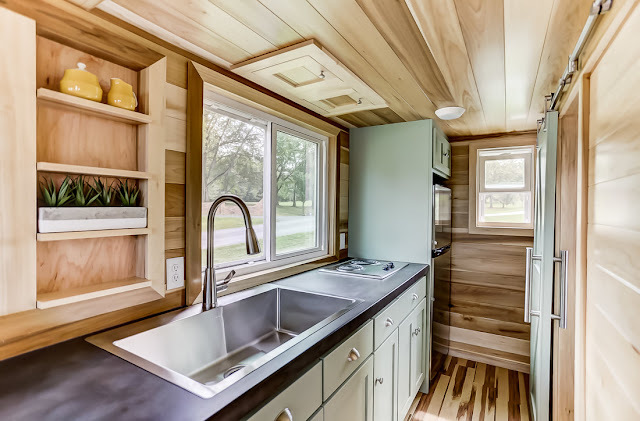 Inside The Point's 240 sq ft interior is everything you need to live comfortably and a beautiful poplar interior throughout. 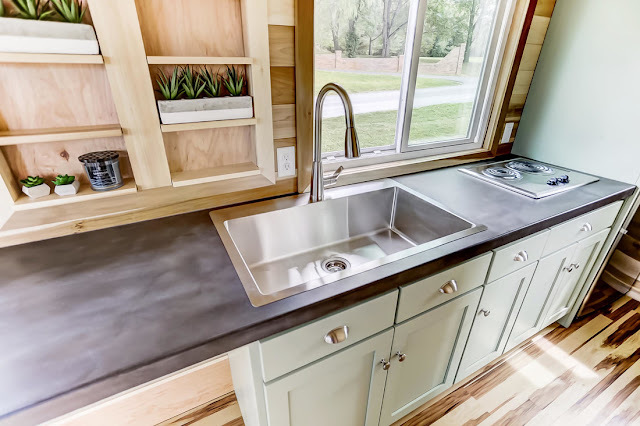 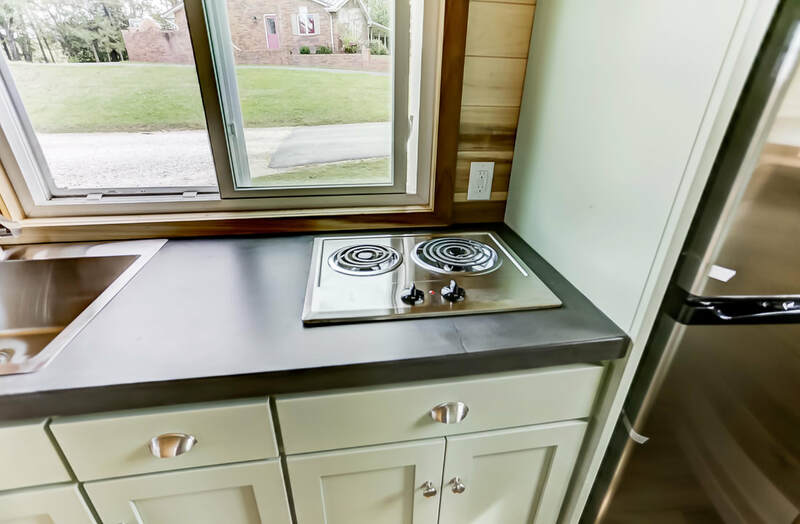 The kitchen features polished concrete countertops, sage green cabinets, a stainless steel sink, two-burner electric cooktop, a fridge/freezer, and an abundance of storage. The living room comes with a built-in storage bench and bookcase, and hidden floor storage. 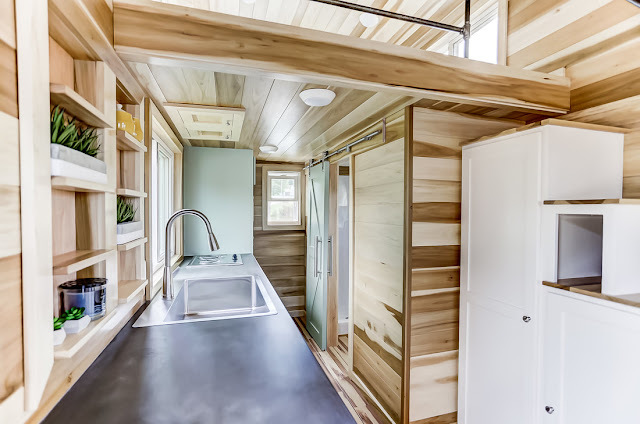 Also included is a queen-sized loft, a bathroom with a composting toilet, and vinyl flooring throughout the home. 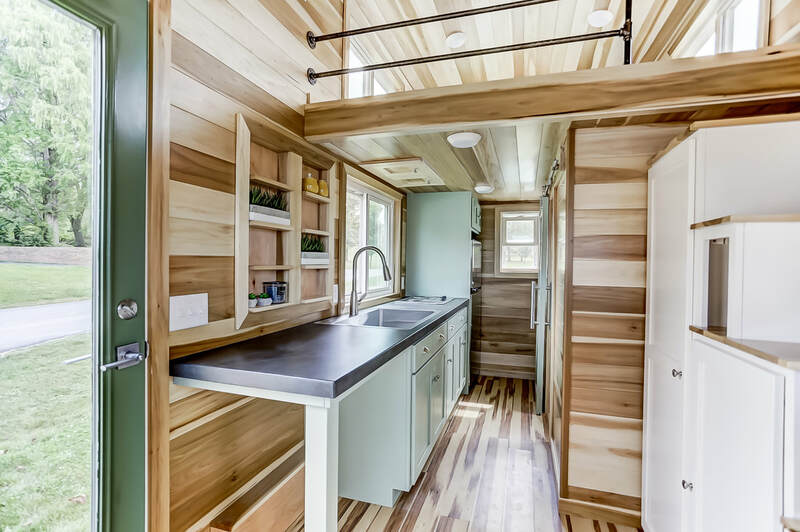 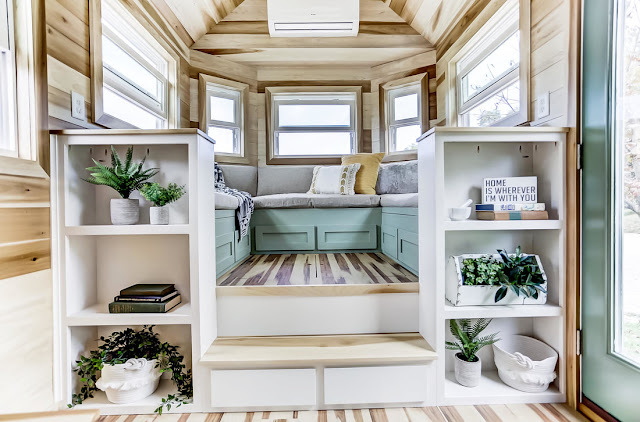 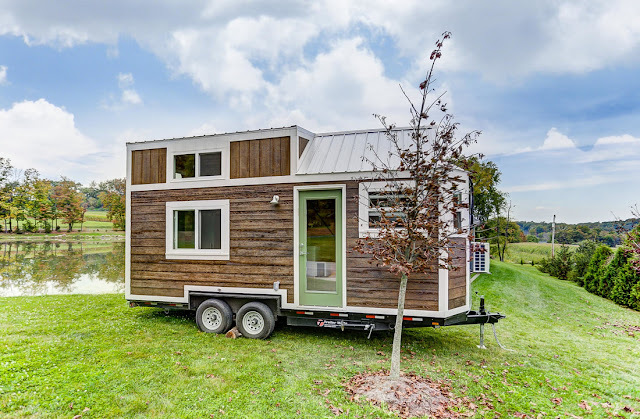 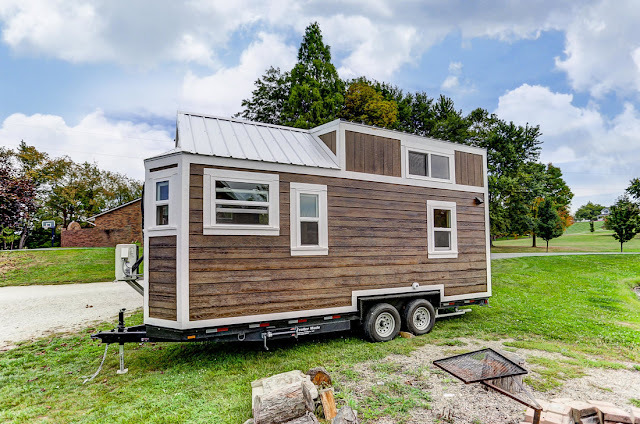 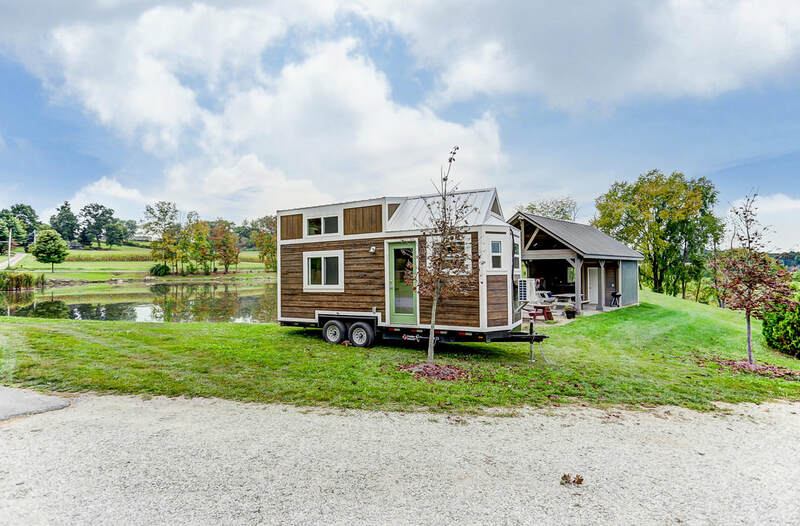 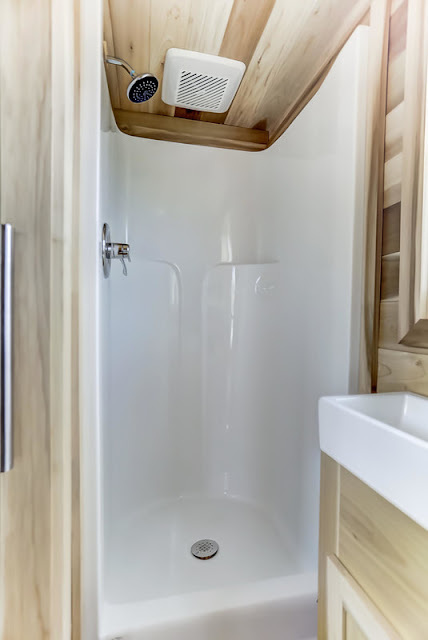 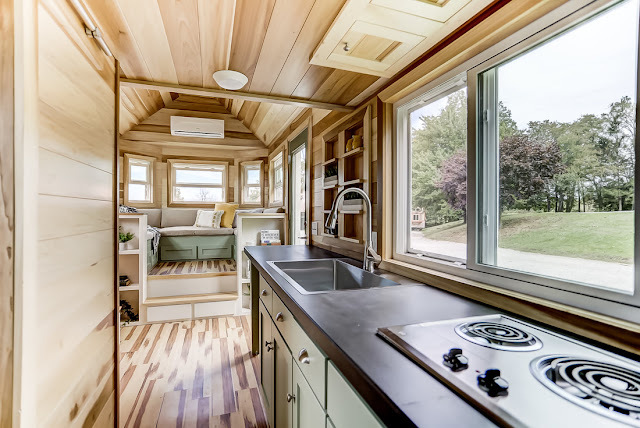 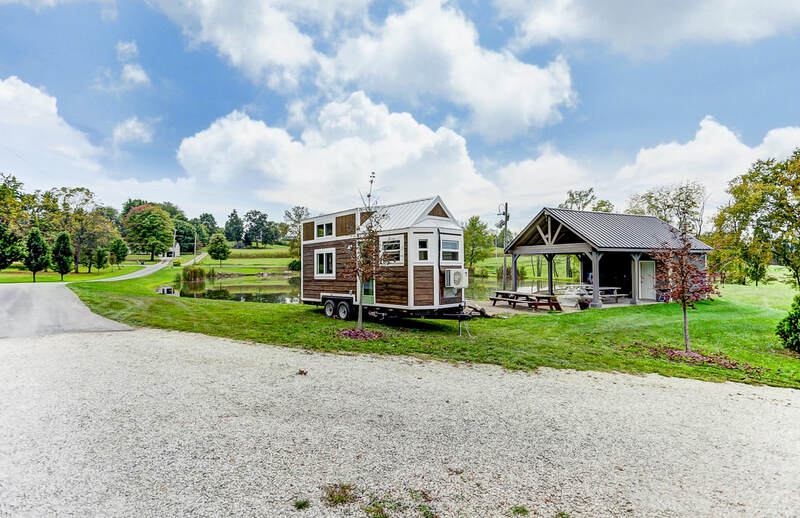 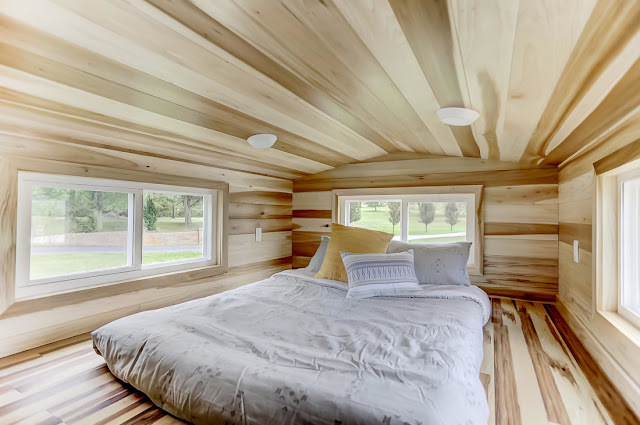 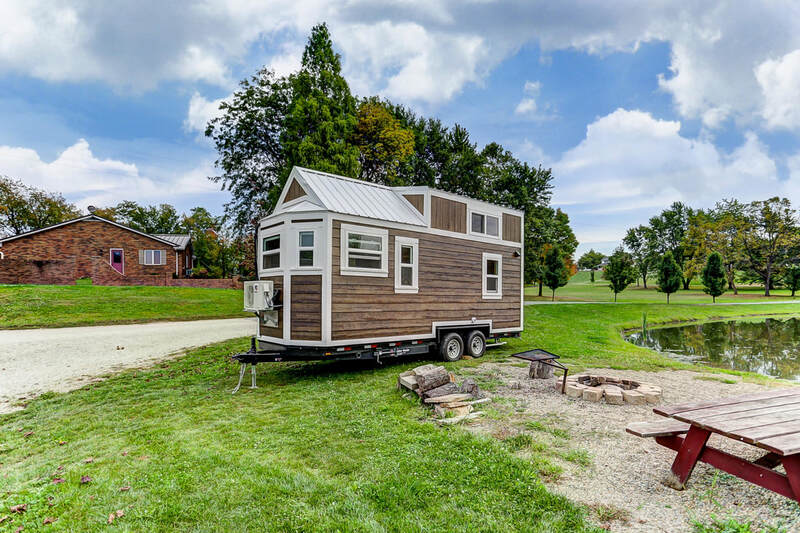 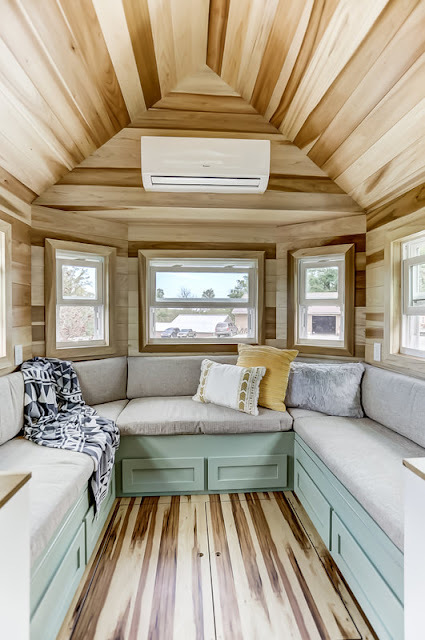 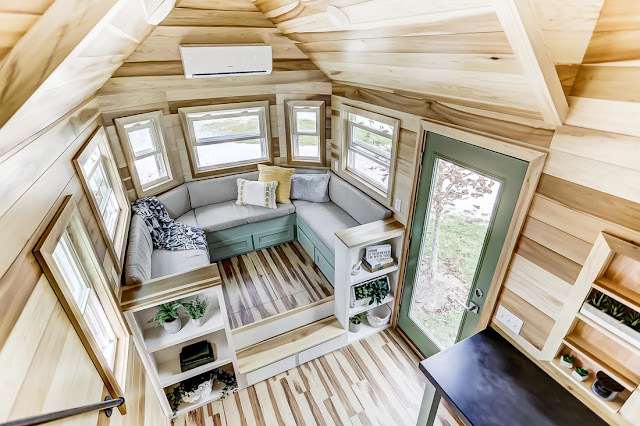 The Point is currently available from Modern Tiny Living for $59,000! 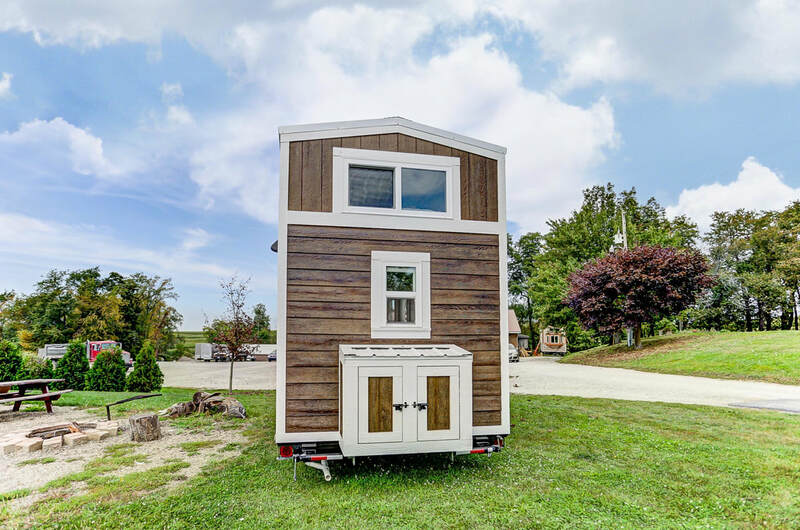 Contact the builder here for more information and/or inquiries.